Complicated or boring? Not at all! 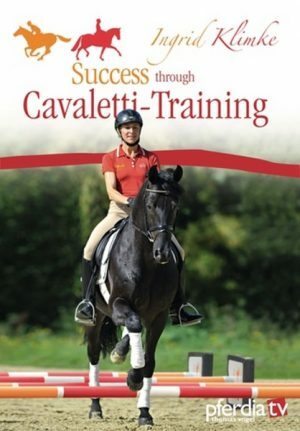 Working with cavaletti offers a great change to the daily training routine, and is a pleasure for horses and riders. Cavaletti-Training supports the horse’s natural movements: It is much more than just basic gymnastic training. 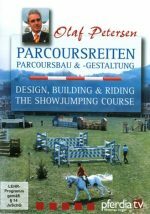 It strengthens the muscles, it preserves the horse’s health and it improves the basic gaits: rhythm, power, expression and cadence develop through engaged steps over the poles. The horse learns to think for himself and to concentrate. 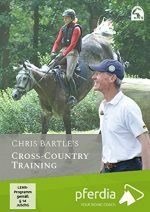 In addition, cavaletti work trains the rider’s seat, gives him a better feeling for the horse, and teaches him to see a stride for jumping. The name Klimke is synonymous with versatile training. Dr. Reiner Klimke was the most successful dressage rider of all time. His daughter Ingrid Klimke continues the family tradition. As an Olympic champion and world champion she is an professional rider who rides internationally at the highest level in dressage as well as in eventing.